The most popular Entertainment with out of the box fun can be enjoyed with the Amazon FireStick TV. Amazon announced the very first Firestick on April 2, 2014, it’s the best seller and popular TV stick. There is another TV stick such as Airtel, ChromeCast and etc, but the Amazon FireStcik is #1. Using Amazon Firestick for several years without anything new and premium content make it boring and maybe you stop using it. Amazon offers the multimedia content on the FireStick but it doesn’t come free and some might not be available in your region. So this is the biggest problem for every FireStick users. If you want the premium and new content so you need to pay and that’s could make a hole in your pocket. Think about why you should pay for a particular channel when you can get it for free!! Free!!! Yes, you read it right. I know a question is arising in your mind how you can get the premium content and other for free. If I’m right then you have to unlock your Amazon FireStick or in technical words “Jailbreak FireStcik”. As you may be aware of the term “Jailbreak”, in case you aren’t let me discuss it. The term jailbreak or jailbreaking is kind of getting the complete access on your and get rid of all restrictions. The Jailbreaking means side-loading something. 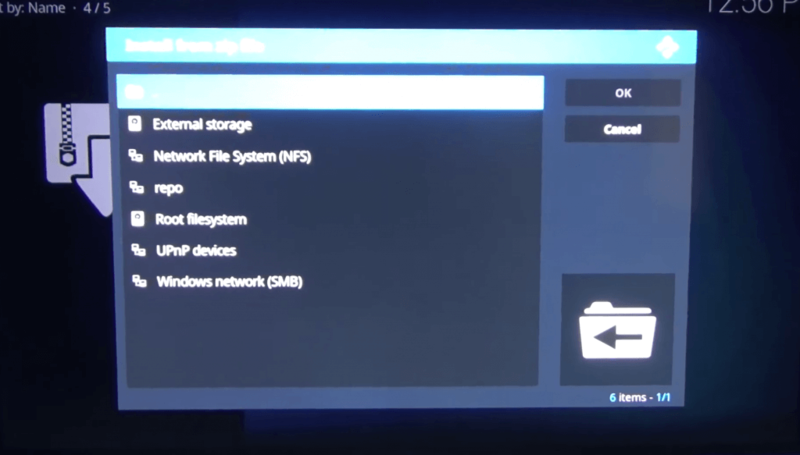 As you already know what is rooting in Android smartphone, this is used to flash the third-party ROMs and apps on your phone that are not officially available for it. In brief Jailbreaking = Unlocking! 1.1 What does it mean to Jailbreak a Firestick? 1.2 Is it legal to Jailbreak a FireStcik? Before we move to steps to start the Jailbreaking process, I’ve prepared some frequently asked questions that will clear your all doubts regarding this topic and you’ll get only valuable answers instead of non-sense and unnecessary information. So now you don’t need to go anywhere else for finding the answers to your question. We care about your hard earned money that you bought the Amazon FireStick from. Well, we don’t want to make your loss, so we tried to clear all your doubts. Kindly read this article carefully until the end and don’t skip any step to avoid risk and damage to your Amazon Jailbreak FireStick. Below are the FAQs that most of the users asked on the internet. Let me explain this in brief. Have you ever used an iPhone or iPad for several years? Yes? Then you should be aware of the term “Jailbreak”. Actually, Jailbreak or Jailbreaking is the state of a device when you can access the root of your device without any more restrictions. The Manufacturer includes a security layer on their devices called DRM(Digital Right Management). The main reason to include this layer that you can run the limited software on the device which is only allowed by the Manufacturer itself and you can’t access the root. Jailbreaking can be helpful in case of installing premium apps on your iPhone for free. Vola heard the first time? Yeah! you can get paid iPhone apps for free with and without jailbreak. In free time you can read this article on how to get paid iOS 11 apps for free if you have an iPhone running on iOS 11. So this is all about the Jailbroken FireStick! Is it legal to Jailbreak a FireStcik? Another question may arise in your mind is that “is it legal to jailbreak firestick” So would you like to hear? The answer is YES!! Jailbreaking FireStick on your own risk is completely legal because you’re the owner of your Amazon FireStick, it’s your personal property and you can do anything whatever you want until you’re not conflicting with other’s privacy and infringing on any nation statute. So jailbreaking your Firestick is legal but always remember that watching the copyrighted content on a jailbroken firestick. If you watch the copyrighted content on your jailbroken FireStick then you might face some troubles. Or you may get blocked by your ISP to let you stop watching the copyrighted content on your jailbroken firestick. But there’s always a solution for every problem. You can bypass this copyrighted content notices via using a VPN (Virtual Private Network). But still, it’s not completely legal watching copyrighted content on jailbroken firestick. So it depends on you. You can just access the content via using VPN on your jailbreak Firestick. Jailbreaking a FireStick is quite a long process but yet the easy to proceed. I’ve already cleared the why you need a VPN. So let me tell you once again, first of all, you need to install VPN on Amazon FireStick before jailbreaking it. The VPN is the only way to bypass the copyright notices and avoid the troubles by your ISP. VPN will make everything virtual on your Jailbroken FireStick, as it will make a private layer of encryption that helps to hide the device identity among the servers. So no one can identify whether you’re using the Jailbroken FireStick or Non-Jailbroken FireStick. So now you got it you have to use a VPN, but which one? There’re lot more VPNs available but I’ve listed some best VPN that can be used on FireStick, you can picky any Virtual private network listed below. When it comes to the best VPNs, NordVPN is always at #1 position in the list. NordVPN has 1000+ servers in 60 different countries and counting. Because of lot’s countries availability the chances of getting good stability while you’re watching content on jailbreak firestick. There another advantage of NordVPN that you can take from, you can set the network to increase the P2P download and can also double the encryption. There’s no tracking system you’re totally invisible when you’re using NordVPN. After NodeVPN, the ExpressVPN would be also a great choice its best thing is that is best VPN for Kodi. It is easy to manage the connection and the speed is also good. It provides the 145 different servers in 94 different countries across the globe. The ExpressVPN is actually built for watching the movie without any problem. This is the best VPN to use in your Jailbreak FireStick and it makes you anonymous while you’re using jailbroken firestick and watching the online content. IPVanish is also another good VPN for Jailbroken FireStick to watch the premium content without getting the legal notices. IP Vanish is the VPN that makes the things easier for you. IP Vanish has run over 850 servers in around 60 different countries. This VPN is lightweight than others, it is easy to integrate with your Amazon Fire TV Stick. It hardly takes less than a minute to install on your FireStick and then its all set then you’ll enjoy with your FireStick and it will not impact you FireStcik. So you should try the IPVanish too. When it comes to the good connection maintenance and minimum logging during the session, Buffered VPN is something like out of the box. Yes, it offers the good performance, it will not disappoint your during the session and its speed is also good. To Jailbreak the Amazon Fire TV Stick you need to prepare some stuff before you proceed further. You must have the technical knowledge about the term “Jailbreaking” as I’ve already told you above. This step by step tutorial will surely help your to Jailbreak Firestick without any problem. I wrote this guide in such a way so isn’t look harder than it seems. 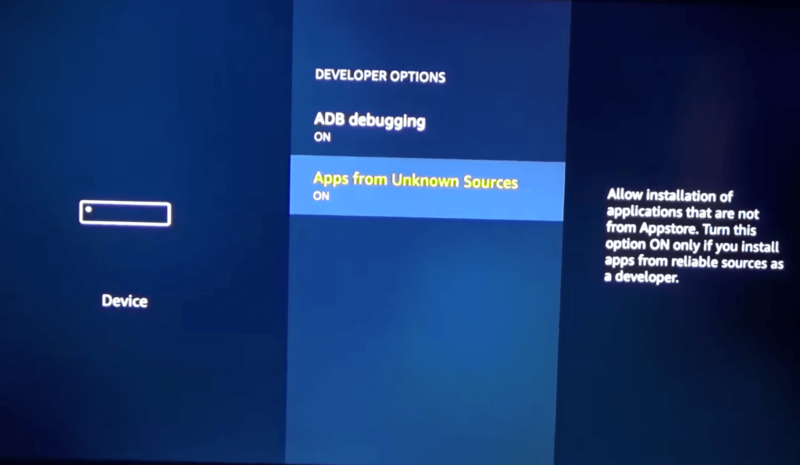 I’m saying this again jailbreaking firestick will not harm you Amazon Fire TV Stick, suppose that you’re making some customization and tweaking your Amazon FireStick. It is your property so you can do anything whatever you want, it’s completely legal. I’ll show you a safe method that’ll not harm your firestick in any way. This tutorial is divided into 4 parts so you can easily follow this and you’ll not face any problem. So without further ado, let’s get started! All you need to do first is setting up our Amazon FireStick. It requires some tweaks on your Fire TV Stick, then we’ll move on the process to jailbreak firestick. 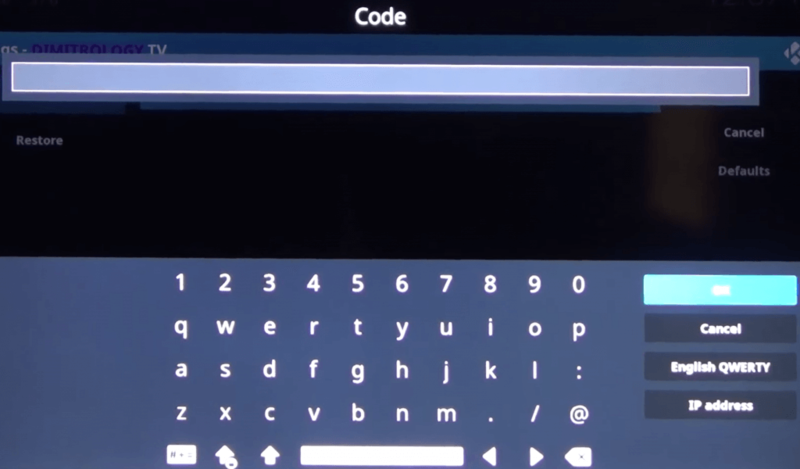 Preparing the Amazon Firestick for Jailbreaking process is very easy, it doesn’t require any computer, all you need is just an internet connection. 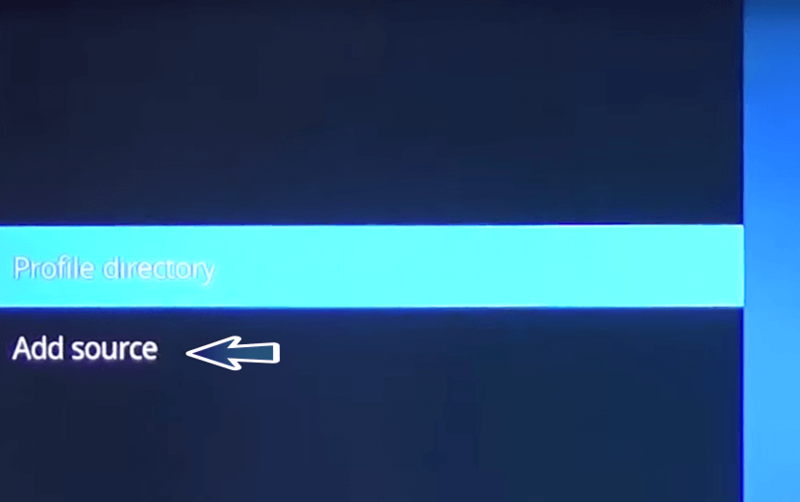 Turn on Amazon FireStick, navigate to “Setting“. Then scroll down and select the “Device” option. 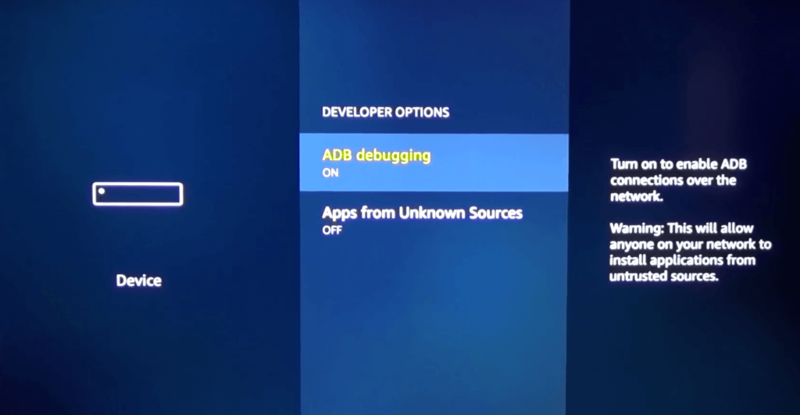 Then enable the both “ADB debugging” and “Apps from Unknown Sources” options. Now you’re done with setting up your Firestick for Jailbreaking process. 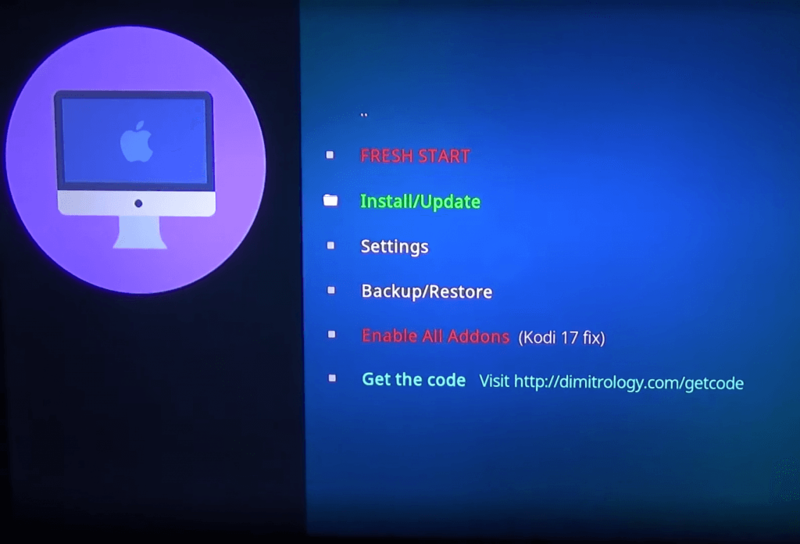 Now you can start the Jailbreaking process. 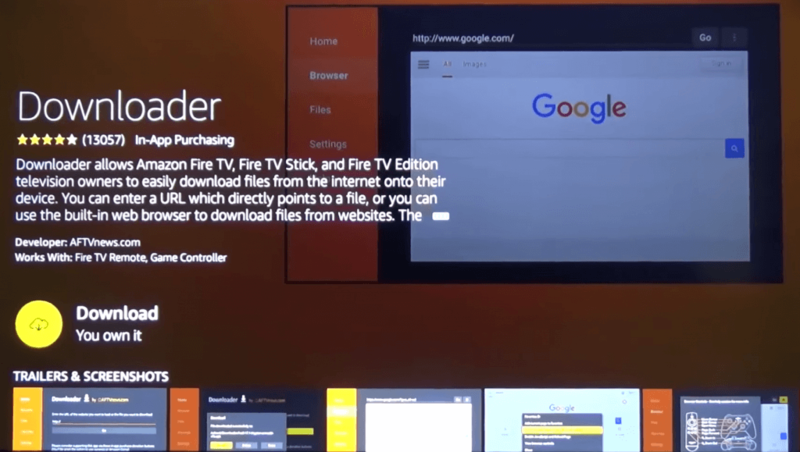 In this phase, you need to install an app in your Amazon Fire TV stick. 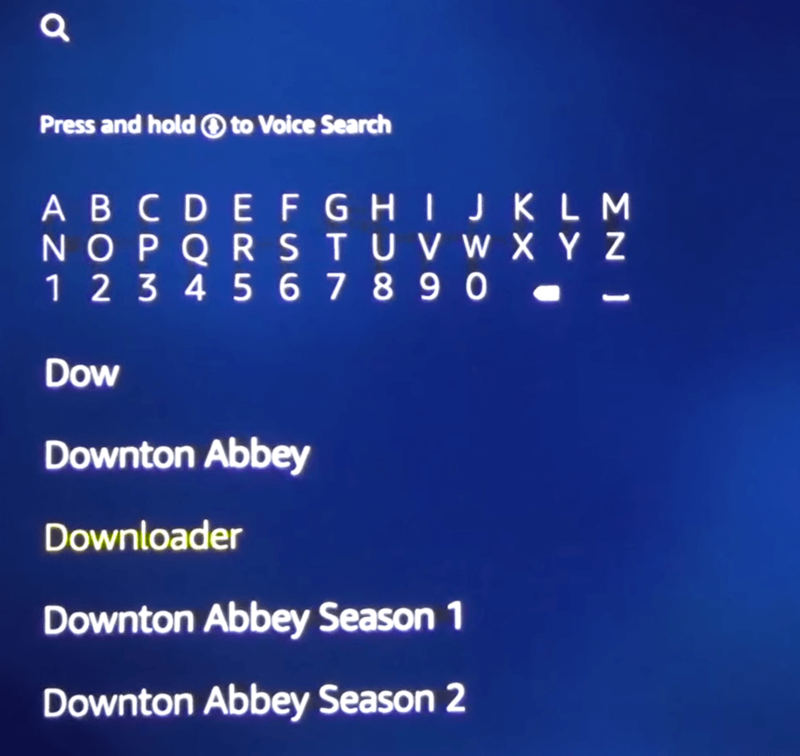 You need to install the Downloader app this app is free and useful to download the kinds of stuff on your FireStick. To install Downloader app on your Amazon FireSick, follow below steps. There you’ll see the application page of Downloader app and click on Download button to install it. 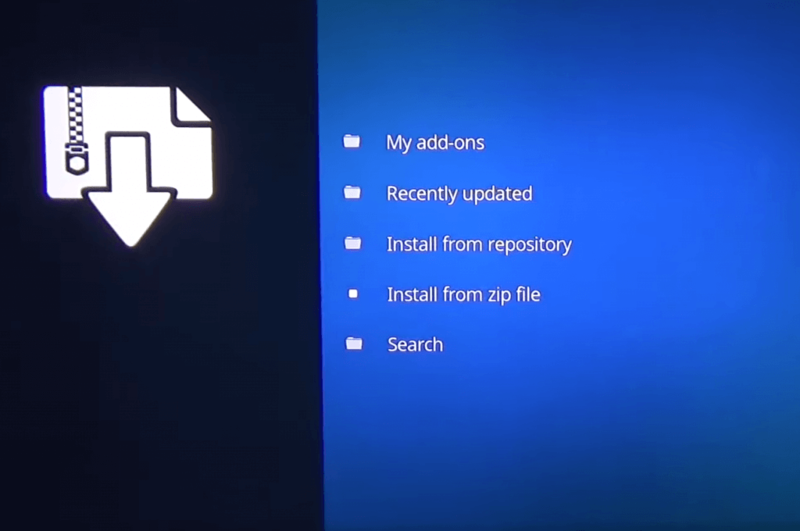 To install Kodi on Fire TV Stick we use the Downloader app we’ve just installed it. Now you’re ready to complete the Jailbreaking process. 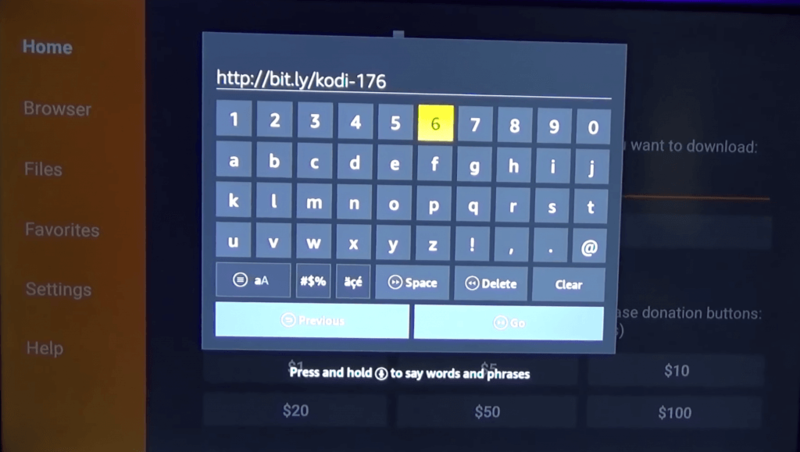 Now enter the URL (http://bit.ly/kodi-176) to download the Kodi. 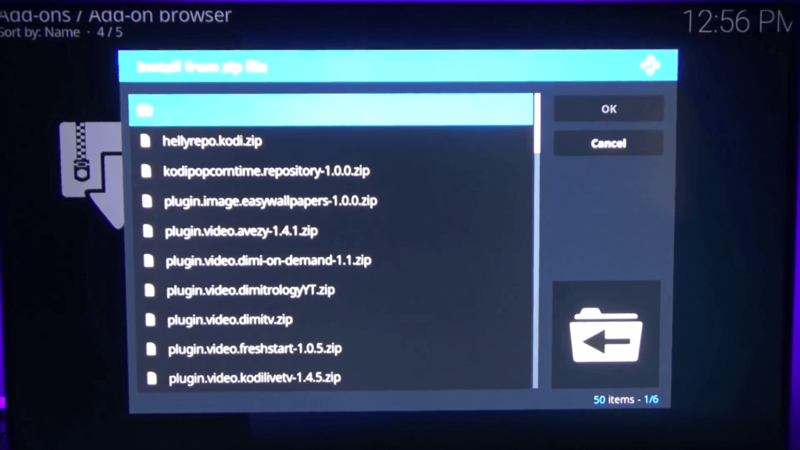 Once downloading is completed, open the downloaded file and install the Kodi on your Amazon FireStick. Now select the option “Add Source” from the File Manager. After this, a popup will appear on the screen to Browse. 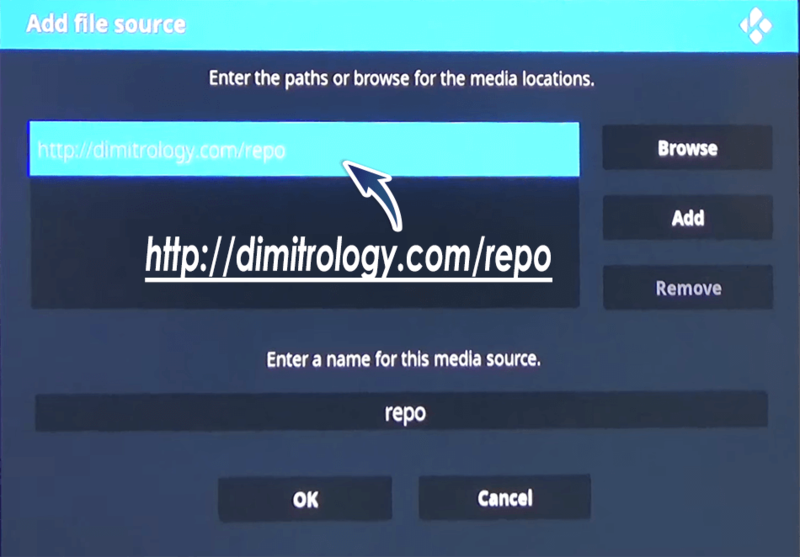 Enter the URL http://dimitrology.com/repo on the box and add the repository then click OK. So installing Kodi on Amazon FireStick is done! Now you can watch the premium content on your FireStick. 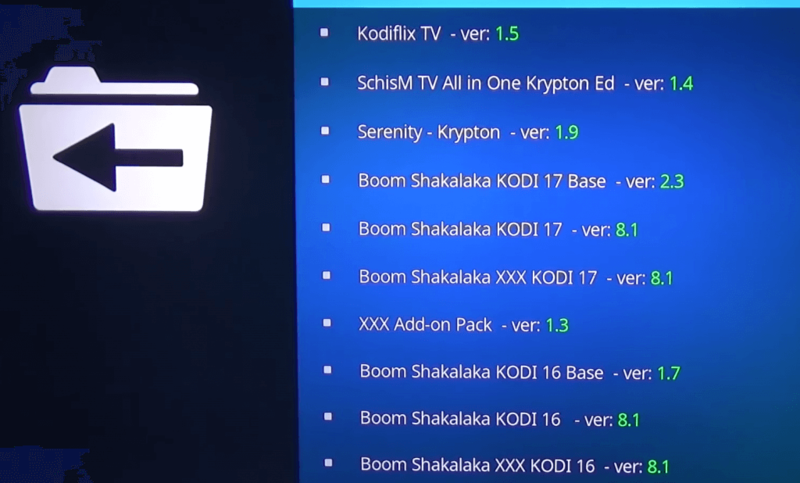 Kodi is installed on your FireStick, now its time to configure the Kodi so you’ll be able to watch the premium multimedia content on your Jailbroken FireStick. This can be only possible by installing some Add-ons on the Kodi. 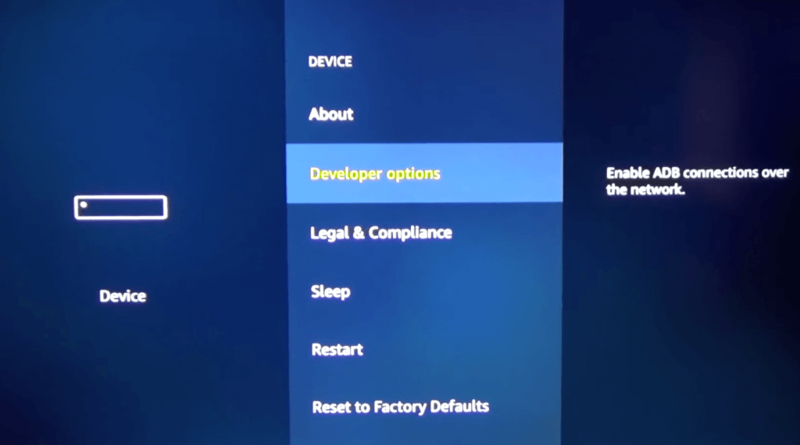 This is the last step once it has done, then you can use your Jailbroken Amazon Fire TV Stick. 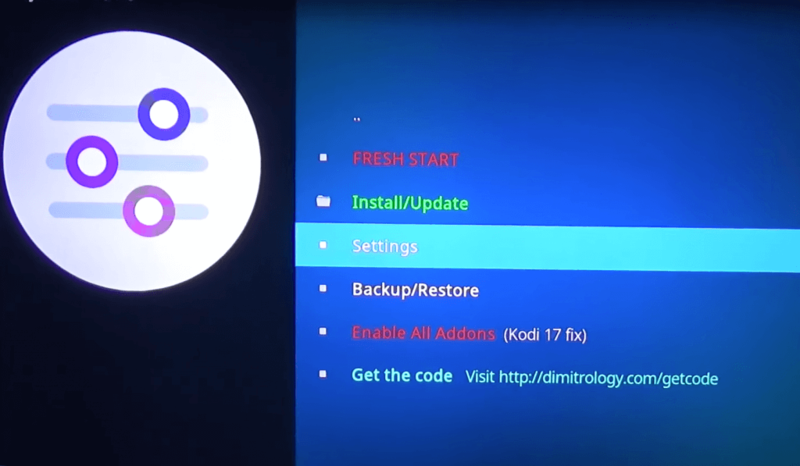 Follow below steps to install Kodi Add-ons. 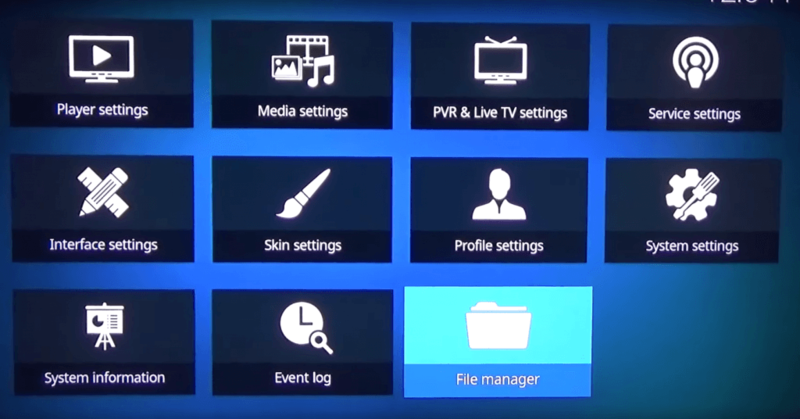 Open the “Kodi Menu” and select the option “Add-ons” from the main menu. After this, a small popup window will appear, click on Settings and then enable the option “Unknown sources“. Then select the “repo” from the list (We’ve just added “repo” in Step 8 of 3 part) then click OK.
Now a list will appear where you can see the various add-ons there. 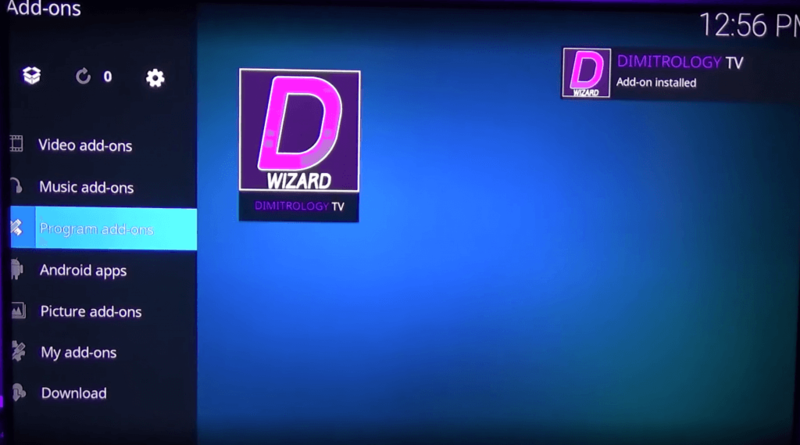 Then select the addon “plugin.video.dimitv.zip” from the list. Now go to the Program add-ons option and wait for few second for Plugin popup to appear on program panel after it downloads. Then click on the plugin and open the Settings. Now you have to add a little code there, to get the code you need to open the URL (http://dimitrology.com/getcode) on your phone then you’ll receive a code and use this code to verify the plugin. After adding the code, now head over to Install/Update. 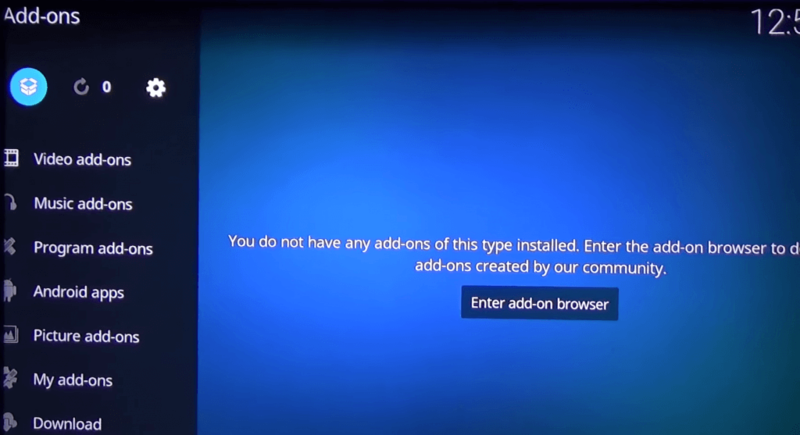 After this, you have to choose the installation type. If you the content and configuration already present in your FireStick then choose the “OVERWRITE” option otherwise choose “FULL” option. Wait for download completion. It will be ready to use once it downloaded depend on your network connection speed. 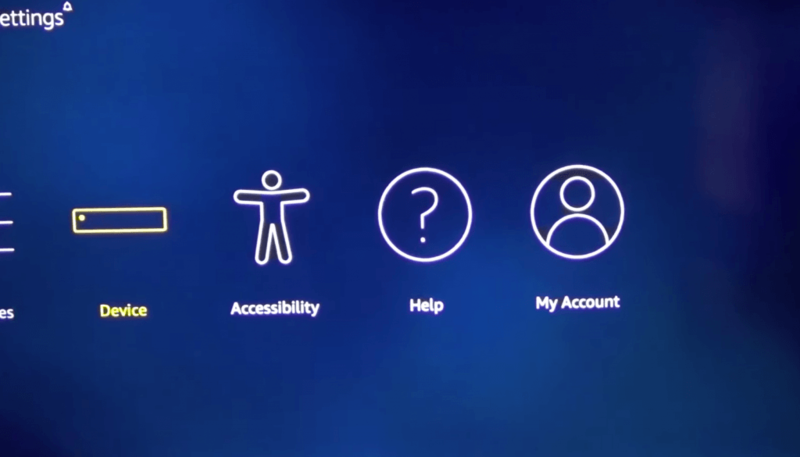 Now the last thing you need to do is go to the Home Screen >> Setting >> Applications >> Manage Installed Application. 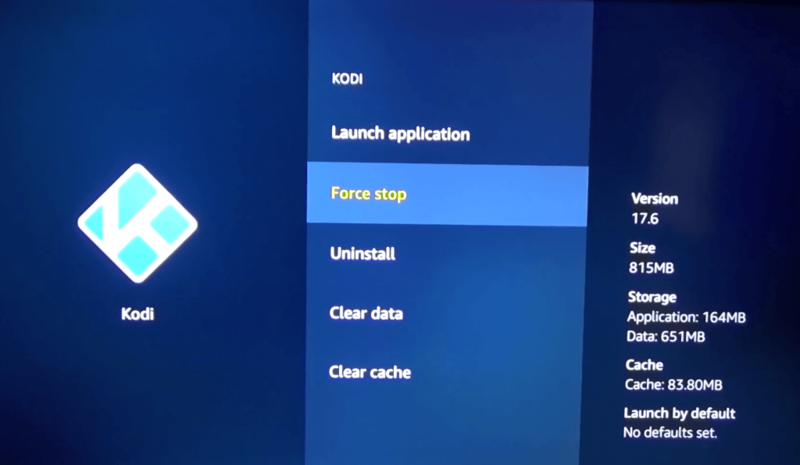 Now look for the Kodi and click on it, then click on the Force Stop and the Launch application again. It will clear all the cache and make Kodi ready to use for you. So, guys, this was the complete step by step guide on how to Jailbreak Firestick. Hope you enjoyed reading it, this is the very easy method to jailbreak the Amazon Firestick. I’ve also embedded a video tutorial so in case you get any issue you can watch it and solve your problem. 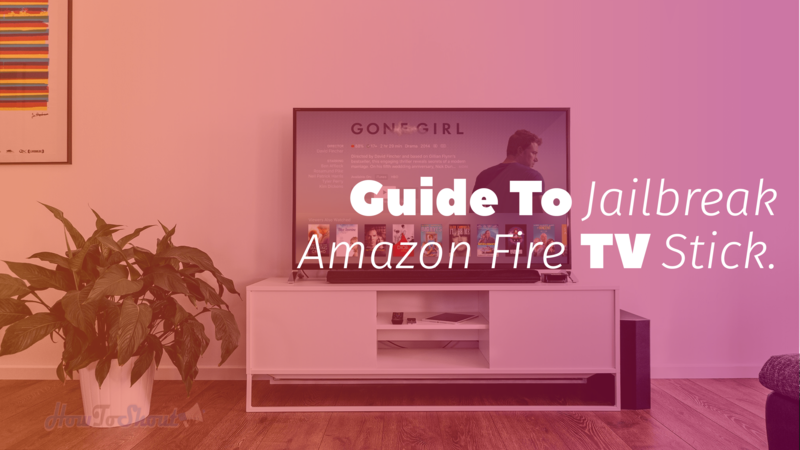 We’ve mentioned every step every method so you can’t face any trouble in future while using jailbroken firestick. No one is going to sue you for jailbreaking Firestick because it’s your property, you can do anything with it. Hopefully, you can enjoy with your Amazon firestick. If you found any broken or expired link in this article then feel free to inform me I’ll update that link with new one, so nobody can face this again. I hope you found this article helpful so please do share this post on Facebook, Twitter, Google+ and on others. Stay Connected! for more interesting how-to guides. Wow this is amazing Bro. Thanks for this definitive tutorial. I use PureVPN to livestream football matches, and until now, I’ve never faced a single issue. The service is fast and anonymous, and helps me access the website of my choice. Great work team! Just the images could have been smaller!